Want more healthy RECIPES & cooking tips? Sign up to get our weekly DIY Tips here! 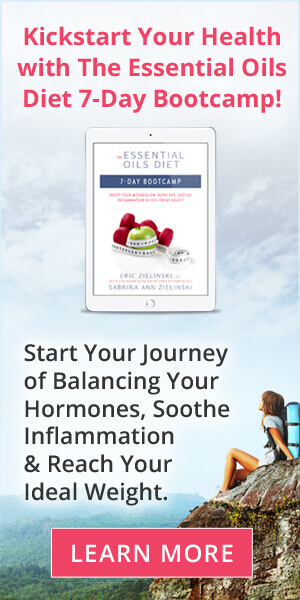 See all the delicious food recipes that support the healthy-eating principles in our book The Essential Oils Diet by adhering to either Fast Track and Essential Lifestyle guidelines. You’ll transform your eating habits, lose weight, and support optimal health by implementing these allergy-friendly food substitutions and mouth-watering recipes. 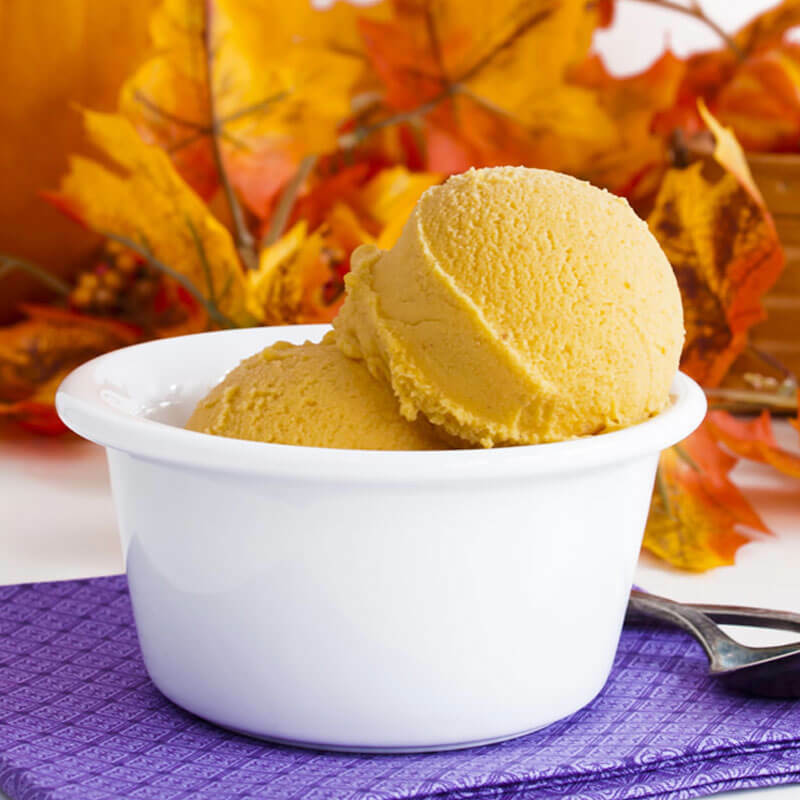 We absolutely love to have coconut milk Pumpkin Pie Ice Cream with baked apple pancakes. This delicious treat is perfect for dessert and breakfast! 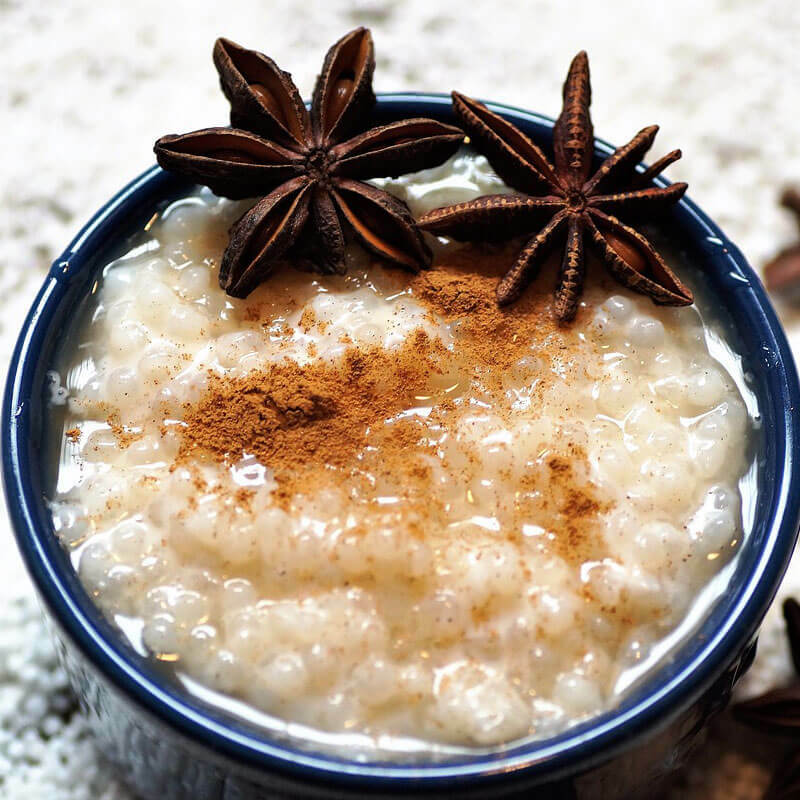 The star of this delicious and healthy vegan tapioca pudding is tapioca pearls. Do you know where they come from? There are gluten-free, sugar-free, dairy-free & allergy-free substitutions for every recipe we like. When it comes to butter toffee - this recipe is tops! After discovering coconut milk vanilla ice cream, I thought I died and went to Heaven. Fresh or frozen fruit on hand? It's time to whip up some tasty, nutritious, antioxidant-rich blender beverages. Be creative and make chocolate gluten free pancakes with your kids. Add some fresh berries on top of a dollop of coconut whipped cream and they'll love it! No cooking required, and it's ready in a minute. Why not whip up a tasty, nutritious, antioxidant-rich blender beverage like this Blueberry Power Smoothie? Spicy Fruit Salsa: A Healthy (HOT) Recipe Everyone Will Love! Spicy fruit salsa is filled with hot peppers that hold a plethora of health benefits. Our salad dressings / homemade vinaigrettes are super easy to make and are extremely healthy to eat, so that's why we do it. This crustless gluten-free cranberry pie recipe is actually more like a gooey cake and full of flavor. Your loved ones are sure to love it! All our recipes are suitable for those with eating disorders, allergies, food sensitivities and other dietary challenges. Organic – We often share our organic tips and tricks to find organic food on a budget and understand which foods should be purchased as organic if money is tight. Family-friendly – With four kids we understand trying to feed picky eaters on a healthy diet. Many children respond well to diet changes for ADD/ADHD, eczema, and more. These recipes are kid-tested and mom-approved. Vegan – Our recipes are either vegan or often be adapted to vegan-friendly recipes for those who need plant-based and vegan meals. Dairy-Free – If you are lactose intolerant or lactose sensitive, you’ll find our dairy-free recipes a delight! Delicious cheese and dessert options that don’t need milk-based ingredients will set you free! Sugar-Free – All of our recipes are sugar free and many are suitable for diabetic meal plans for those who need low-glycemic meals to manage blood sugar levels. Don’t sacrifice taste or energy those – these are delicious meals you can serve to anyone. Gluten-Free– Many people find that they have gluten sensitivities due to the contamination of many grains, so all our recipes are gluten-free or can be adapted to gluten-free eating. You may be trying to eat a healthier, plant-based diet with nutrient-dense foods and are wondering where to start. Our recipes are sugar-free, dairy-free, gluten-free and above all, delicious. And often the portion sizes mean you will be able to feed the entire family with leftovers to spare. Whether you’re looking for everyday meals you can put in the slow cooker or make in a hurry, or you want holiday dishes for entertaining and special occasions, we have a recipe for you. And don’t forget to check out our snack section for recipes that are perfect between meals, after school, or to take on the road for a picnic or healthy eating on the go. Best of all, our delicious, allergy-friendly desserts like chocolate and cheesecake. Don’t think that allergies and food challenges mean no flavor for you and your family. Our Natural Living Family recipes prove that you can have both!